Lea Michele is 32 years-old. The actress weighs 53 kg (117 pounds) and has a height of 5’3” (159 cm). Her workout includes yoga, dancing, and hiking which helps her maintain a 35-25-34 figure. Lea Michele has a passion for working out and eating healthy. Very recently Lea Michele has stated that she avoids eating fast food. No wonder she has looked all the more fit, wherever she has been spotted in 2017. Best known for: Her performance as Rachel Berry on the Fox television series, Glee. For Lea Michele, living a healthy life isn’t about the number that appears on the scale. Rather, all that matters for Michele is that she is active and feeding her body with healthy nutrients. Furthermore, Michele is very in tune with her body; she knows when she can push herself and when she needs to take a break. Michele is very body confident. She has admitted that she loves her shape and how it complements her. Only standing at 5’3″, she has admitted that her favorite body part is actually her legs. Michele has been through her own amount of hardships. She notes that she becomes a stronger person when she is knocked down. She says that she tries not to take any moment or day for granted, and surrounds herself with positive and loving people. As she puts it, “I genuinely wake up every day with a really big smile on my face because I love my life.” Lea Michele’s positive attitude and dedication to healthy living is what makes her such an amazing role model for young girls and women alike. The Scream Queens star once followed a 100% vegan diet, but now occasionally consumes dairy and meat. A strict vegan diet will exclude all types of animal products, including fish, poultry, and meat. 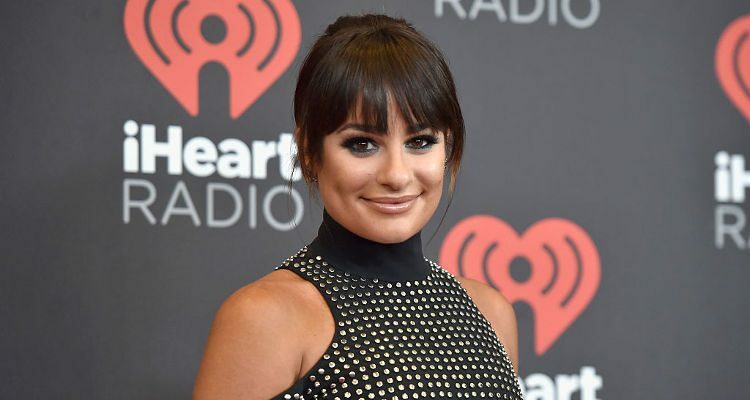 Lea Michele’s vegetarian and mostly vegan diet would also include fruits, vegetables, lentils and other legumes, beans, and gluten-free grains like quinoa, brown rice, and buckwheat. However, Lea Michele admits that she does indulge on the occasional gourmet burger or a slice of pizza when the actress is eating out. Also, when Michele is having a bad day, she drinks red wine and gives in to her macaroni and cheese craving.